The library represents a unique form of education system because it not only supports informal learning goals, it more broadly supports the learning goals of the formal education systems that exist in any given community (e.g., K-12 schools, colleges, universities, professional education). This holds true across public, school, and academic libraries, though each type of library supports education in the context of the specific rules and norms of the community it serves. Common rules and norms exist for libraries across communities, such as supporting agreed-upon standards of learning in larger education systems. That is an example of the formal function of the library as an education system. The informal function of the library as an education system is one of piquing curiosity and personal interest to support lifelong learning. 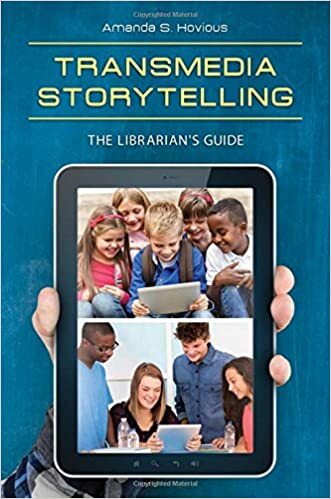 This function is well-recognized in public libraries, but it also exists in school and academic libraries because library resources do not solely exist to serve the classroom. Rather, they extend beyond the classroom through recreational reading or gameplay or makerspaces, etc… These informal activities provide an indirect benefit to formal learning through the practice of academic skills (e.g., problem solving, critical thinking). In other words, even the informal resources of any library benefit the academic goals of formal education systems. It is important to point out that the skills of problem solving and critical thinking, while recognized by formal education systems as essential, are not often explicitly taught. For that reason, libraries play a vital role in formal education systems. They connect informal learning with formal learning. Some call this the third space. The value of the library as an education system is greater than its physical resources. Success is dependent upon human resources that connect users with information that meets their needs. In the school library, those users are not just students. Increasingly, they are teachers and administrators, who require support for technology integration in the classroom. As a result, technology integration specialist is a new role for the school librarian, requiring an expanded skill set. This is due in part to limited budgets and limited personnel, which is both promising and concerning. It is promising because it ensures the survival of librarians’ relevance in the larger education system. It is concerning because school librarians are mostly ill-prepared for the role of technology integration specialist. Though school library programs recognize this skill gap and are adjusting their curriculum accordingly, more needs to be done to address it, such as the development of a fully hybrid degree in librarianship and learning technologies. In a similar vein, academic librarians are finding themselves in new roles in their education systems. Rather than just technology integration, they are taking on instructional design as a skill set. However, unlike school librarian programs, the general library school curriculum has largely failed to address this skills gap. A fully hybrid degree in librarianship and learning technologies may also be the solution for the academic library education system, perhaps one that encompasses K-20 librarianship. In summary, the library is an informal education system that also supports the formal education systems of schools, colleges, universities, and the like. The uniqueness of the library is in its ability to foster connections between informal and formal learning, known as the third space; and successful connections are dependent upon the library’s human resources. The practice of skills such as critical thinking and problem solving in the library’s informal contexts create value within the formal context of the classroom. This makes the library a vital education system of systems. However, challenges exist that threaten the library, with the greatest threat being economic. Budget limitations create an impetus for librarians to continually evolve to remain relevant to their larger education systems. This is seen in the evolving role of school librarian as technology integration specialist and academic librarian as instructional design specialist. While the need to evolve is not new, it does create skills gaps, and library education programs have been slow to address them comprehensively. One possible solution is the development of a fully hybrid degree that merges the skills of librarianship with the skills of instructional design and technology. Only then will the library as an education system be capable of expertly supporting its larger formal education systems.